Please note PRESIDENTS WEEK/SKI BREAK CAMP occurred in past. Get ready for an action-packed week. 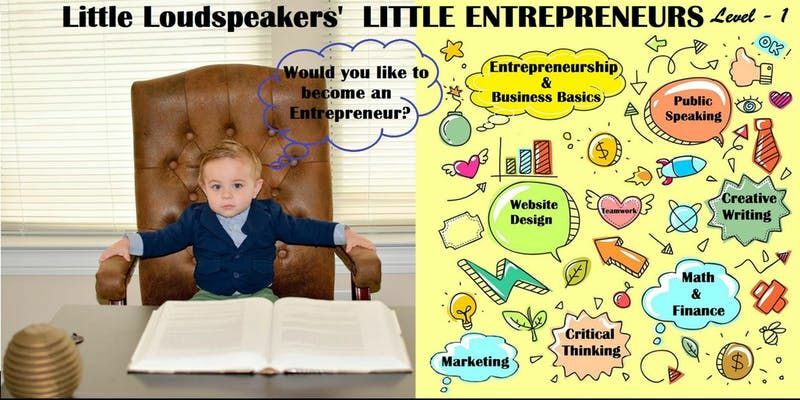 Budding Little Entrepreneurs will get to be creative and start their own businesses. 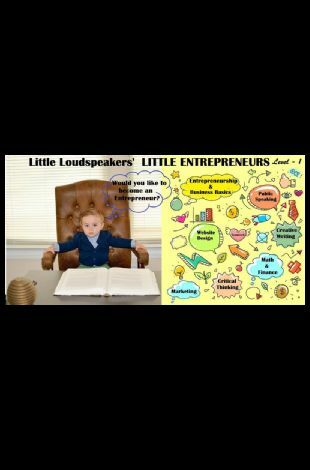 Students will learn real-life business lessons, delivered in a fun and engaging way by Little Loudspeakers award-winning instructors. During the camp, Little Entrepreneurs will create an original business idea, name, logo, and website. Little Entrepreneurs program is a project-based learning program that gives children the opportunity to learn first-hand how to start and operate their own business. Working in teams, the Little Entrepreneurs start and run their own company. Our course is designed to mentor, support, and empower today's children with the necessary skills to set them on the path of becoming our future entrepreneurs at a young age. Becoming an entrepreneur doesn't require money, luck, or a background in business. All it takes is ambition. The best time to start was yesterday. The next best time is this President's/Ski week. Finally, Small Business Achievement Award/Certificate, Suggestions, and Feedback from our Little Loudspeakers Academy's Founders. So, calling all kids ages 7-12 yrs to start a business and make some money this SKI BREAK. 1. Guided Coaching from our Award-winning Instructors and Top Entrepreneurs from Bay Area. 5. Learn Skills such as: Entrepreneurship, Website design, Marketing, Communication, Public Speaking, Creative Writing, Critical Thinking, Teamwork and Math/ Finance! !